Renault revealed its new C-segment crossover earlier this year in Paris. 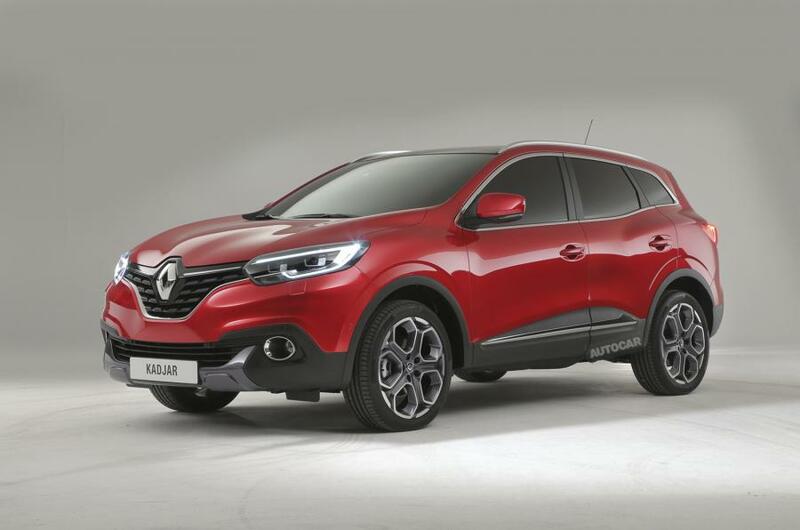 It’s called Renault KADJAR, and it looks absolutely fabulous. For a Renault, that is. It’s mission is to compete with his sibling, the Nissan Qashqai, for supremacy in a segment that brings up to 30% of sales in China and is larger and larger in Europe. 1. It has 4×4, 4×2 and Extended Grip, that will allow it to reach difficult terrain, even if the car is not prepared for hard off-road. 2. It’s 4.45 m long, 1.84 m wide and 1.6 m tall – a compact crossover, larger than the Renault Captur but smaller than the Koleos. 3. It’s geared towards the young living an active lifestyle, with plenty of boot space for its segment (472 litres) and interior modularity at its best (the front passenger’s seat can be transformed into a table, and the rear bench can fold 1/3-2/3. 4. It’s also geared towards the asphalt road, with up to 19 inches wheels, but its 190 mm road clearance means that it can also attack some country roads (18 degrees attack angle, 25 degrees rear angle). 5. It’s spacious enough for 4 adults and a child, that means a family will have no problem using it as a family car. 6. It has a modern interior, with Renault’s R-Link 2 multimedia system and connectivity providing high-tech entertainment and mobile apps designed to help the driver on the road. 7. The driver is assisted by lane changing alerts, emergency braking assist, a rear view camera, traffic signs recognition and double Full-LED headlights. 8. Engines have not been announced yet, but we’ll have to expect the same powertrains as already seen on Qashqai – 1.2-litre petrol unit and 1.5- and 1.6-litre diesels. 9. Engines are balanced for fuel economy rather than sportiness, with Start-Stop systems and manual and automatic gearboxes to be announced. 10. Renault Kadjar price will start under 20.000 euros in Europe, taking into account that his smaller sibling, the Renault Captur, starts around 16.300 euros. A full-option Kadkar will go over 30.000 euros, but will not enter Koleos’ territory by much, so the new car really is an affordable family car that shows great promise for the Renault-Nissan group. We’ll see if the sales will match is absolutely lovely design!